Are you searching for a small and cute present for an anime-addicted fan? You search ends here! At HokageStore you will find a collection of cool keychains from popular Japanese Anime series such as Naruto, One Piece, Fairy Tail, My Neighbor Totoro, Yuri on Ice, Howl's Moving Castle! 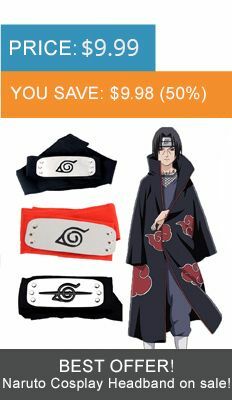 If you’ve got a friend who likes Naruto, you won’t find a better present than our Naruto gifts. Hokage Store offers you a wide selection of various keychains that were inspired by Naruto Anime. Any fan would love to have at least a cute keychain as a reminder of good times spent with their favorite anime series. We offer only the best quality goods which you will find absolutely adorable. Check out our Anime gifts to choose something special for your friends and fellow fans!